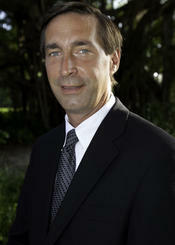 Tim Glick has worked as a funeral director in the Boca Raton community for over 18 years. 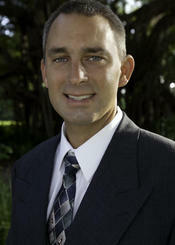 He has established an exceptional reputation in the Boca Raton community and has extensive local knowledge within our community. He is a graduate of Lynn University, and has been active in many community and local church organizations throughout his career. Phyllis entered the funeral service industry shortly after graduating from Boca Raton Community High School. She began employment with her father Robert J. Babione first as secretary, then as a pre-need counselor, and finally as a funeral director after graduating from Lynn University. She served as General Manager of a local Boca Raton funeral home while it was under the corporate name of SCI, overseeing daily operations for 15 years. Phyllis has a professional demeanor and compassionate attitude that brings comfort to the many families she has assisted through the grief process. Her attention to detail and years of experience ensure a seamless transition that makes a difficult time bearable. She is proud to be associated with the Glick family and looks forward to giving back to her community as a funeral director, a caregiver, a volunteer and mentor. Jeff Glick has lived in the Boca Raton area Since 1989. He is a graduate of Nova Southeastern University and has been serving his community as a physical therapist for the past 13 years. However, with the opening of Glick Family Funeral Home in 2010, Jeff changed careers and pursued his Funeral Director/Embalmer license from St. Petersburg College. He is now licensed in the state of Florida and is serving his community in a new capacity. Jeff and his wife Jennifer currently reside in Boca Raton and are raising their 4 children. Dennis Glick was the pastor at St. Paul Lutheran Church in Boca Raton for 20 years until his recent retirement. He has served on the Boca Raton Hospital Ethics Committee. He has served as a chaplain to the local police and fire departments. 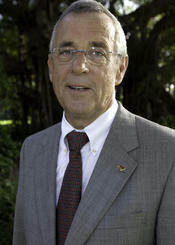 He is currently serving as the LCMS First Vice President to the Florida/Georgia District.